First and foremost, we would like to wish you all a very Merry Christmas and restful, happy and safe holiday and to say thank you to everyone we have worked with 2016. It has been a great year with many exciting projects on the go. We recently launched our biggest environmental project for 2016, Trees That Count, and we are hoping each and every one of you will get behind the movement to plant and count 4.7 million trees next year. You will read below how you can gift your friends and family a tree this Christmas. We have one very special person to thank, Joan Withers, who retired as a Tindall Foundation Trustee recently. Joan has been a dedicated and outstanding member of our Trustee team since 2010. Before this, she was a trusted advisor to our Foundation over many years. We are hugely grateful to Joan for her long standing service and for the enormous value she has added. Not only did she bring exceptional skills and knowledge to our board room table, she did so with great empathy and heart and for this we will be forever grateful. Joan also gave her time to work alongside some of the organisations that we fund. 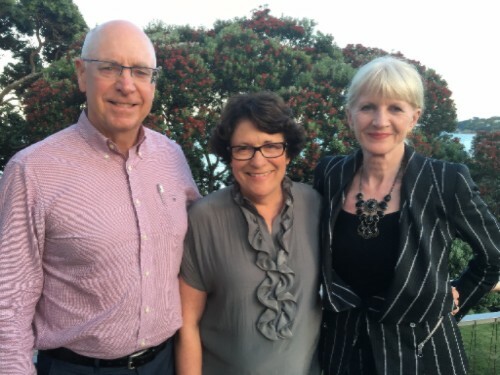 As 2016 draws to a close, I would like to acknowledge our dedicated staff and trustee team who work so hard to ensure that our applications are processed like a well-oiled machine and the funding distributed to the fantastic organisations and projects that work so hard in communities around New Zealand.